Founded in 2007, SC Staffing & Consulting specializes in Equity Compensation, Convention Staffing, and Administration/Clerical temporary and permanent job placements. Founders Suzanne Curran and Julie Barile offer a combined 50+ years of expertise in equity administration, financial services and management. A certified woman-owned company, SC Staffing & Consulting’s team of placement professionals is knowledgeable, flexible and available on short notice. Suzanne and Julie are members of the Philadelphia Convention & Visitors Bureau, as well as the National Association of Stock Plan Professionals. Their mission is to be clients’ strategic partners, matching dynamic people with customers’ needs. They recognize that there is not a one-size-fits-all approach to hiring, whether temporary or permanent. That is why their approach is customized to best suit each company’s unique needs. Their office is based in Philadelphia, but they work nationally placing high-quality job candidates each year. They take the time to understand your hiring needs and tailor their services to best suit your company. Their service is personalized and they guarantee positive results! Their team functions like an in-house human resources department, making the job placement process seamless for job seekers and employers. Let their experienced recruiters work for you in filling your company’s temporary, temporary-to-permanent, or permanent staffing needs. 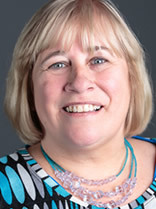 Sue Curran co-founded SC Staffing & Consulting in 2007. The company continues to thrive due in large part to her commitment to relationship-building with employers and the countless staff she recruits. A Certified Equity Professional and member of the National Association of Stock Plan Professionals, Sue knows all the intricacies of the equity world and has a successful track record of securing the best talent for these important stock plan administration roles. Her years of management experience provide insight in hiring administration/clerical and staffing for conventions. Before starting the business, Sue worked for more than 15 years in banking, rising through the ranks from a clerical position to vice president. While at the bank, she was instrumental in starting an equity division. Her early expertise in equity is the foundation for SC Staffing & Consulting and led her and co-founder Julie Barile in servicing client programs ranging from Fortune 500 companies to Private equity firms. In her supervisory roles at the bank Sue managed large teams of up to 100 people. Sue often fills in as a stock plan administrator for SC Staffing & Consulting’s Fortune 100 and Fortune 500 companies. 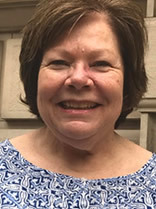 A graduate of La Salle University, Sue has served since 2013 on the steering committee at St. Albert’s chapter of Joseph’s People, a nonprofit organization dedicated to helping unemployed and underemployed workers by offering support and job counseling services. Julie Barile co-founded SC Staffing & Consulting in 2007 and serves as the Chief Operating Officer. Julie helps to foster the company’s success by establishing and building rapport with clients and staff alike. She excels in talent acquisition, process improvement and vendor management. A Certified Equity Professional and member of the National Association of Stock Plan Professionals, Julie has more than 20 years of experience in stock plan management. Prior to starting the company, she worked for 13 years as Vice President of Employee Shareholder Services for a national bank. In that role, Julie managed a team of relationship managers who served 225 clients with their Stock Option and Employee Stock Purchase Plan programs. Julie managed dozens of employees and advanced through the ranks from a clerical position to her last role overseeing the customers’ equity program as a vice president. Julie truly understands the various facets of equity and is skilled at recruiting staff best-suited for these roles. She is also experienced at knowing the customers’ needs and matching the candidates for administration/clerical positions.